Live video streaming can be a crucial aid in monitoring valuable cargo transport, people transfers and the safety of drivers and vehicles. Whilst the mobile DVR and video streaming technology has been around for many years, low data speeds and video resolution has been a limiting factor. Fleetminder GPS tracking solutions have released four new Mobile Digital Video Recorder (MDVR) models to provide fleet operators with superior vehicle tracking and video streaming and recording abilities. They incorporate two major technological advancements for vehicle camera systems. The 4G mobile network provides at least six times faster data speeds in actual use over the 3G network. For live video streaming from a mobile DVR unit, 4G mobile speeds provides fewer dropouts, more reliable video feed and better quality video when your fleet vehicles are on the road. The 4 and 8 channel 4G MDVR models are now available from Fleetminder Australia. 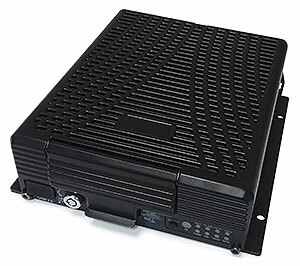 The FM MDVR4-4G is a 4-channel 4G mobile DVR with video streaming (allows up to 4 cameras to be connected). 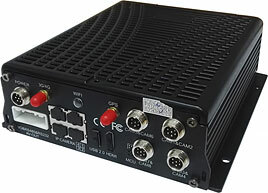 And the FM MDVR8-4G is a 8-channel 4G mobile DVR with video streaming (up to 8 cameras). Both models allow for up to 2TB hard drive to be fitted for local video storage. When it comes to video quality you’ve probably seen low resolution video recordings where it’s almost impossible to identify the thief or vandal. Low quality video also makes recognition of vehicle licence plates and other features extremely difficult. The typical (analogue) vehicle security camera has been around for years. In terms of video resolution, these cameras were rated by the number of TV lines. Whilst higher resolution analogue vehicle video cameras are available (more TV lines), analogue signal technology is reaching its limit. Even though vehicle cameras have CMOS/CCD digital sensors – the same that you have in your smartphone, those cameras convert the digital signal from the chip to analogue in order to travel down the typical video cable to the video recording unit (DVR). Newer technology – “Digital IP” video cameras were introduced around 2008. They make the entire video digital from the chip all the way to the DVR, without any conversion to an analogue signal. Since their introduction, IP cameras are now becoming more affordable and popular. A typical analogue camera equates to about 0.4 MP (megapixels) of typically VGA resolution, whereas a standard IP camera – full HD (1920 x 1080p) provides 2 MP (megapixels) resolution. 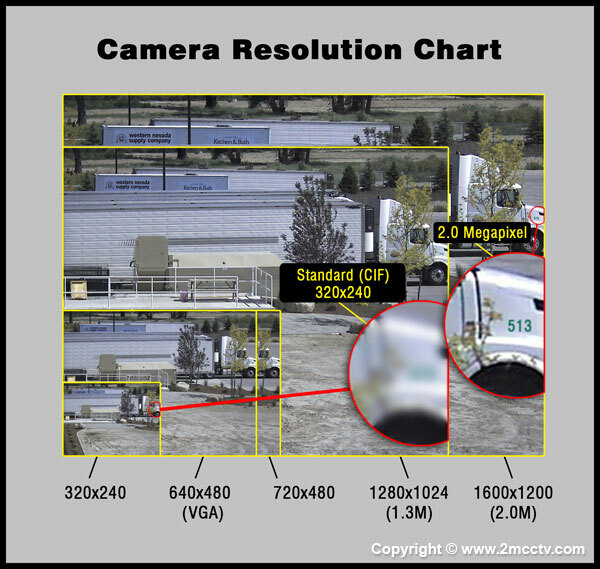 (in the image above, the red circles demonstrate the difference in the video quality between the low and HD 2MP resolution. IP camera technology will provide clearer, more detailed video quality. Fleetminder offers a wide range of vehicle IP cameras including internal dome cameras, front facing internal cameras, heavy duty external rear and side cameras – all full HD 1080p (2 MP) video. Since IP systems are digital they allow for new tools and features to be added in the future. 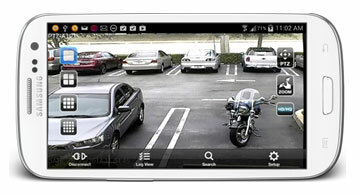 FM MDVR-IP4 is a 4-channel 4G mobile DVR with IP camera inputs and video streaming. With both the 4G MDVR and the 4G IP MDVR models, a mobile phone app can be used to view previously recorded video as well as viewing the live streaming feed from the MDVRs. For more information on the new range of Fleetminder MDVRs or for assistance with specific installations contact us or call Fleetminder via the Neltronics Australia office on 08 9383 7833.